If you're talking to Nas' favorite mixtape DJ and Pro Era's big brother, you better spell his name right. Copy and paste this HTML code into a webpage to embed Episode 226 of The Cipher. 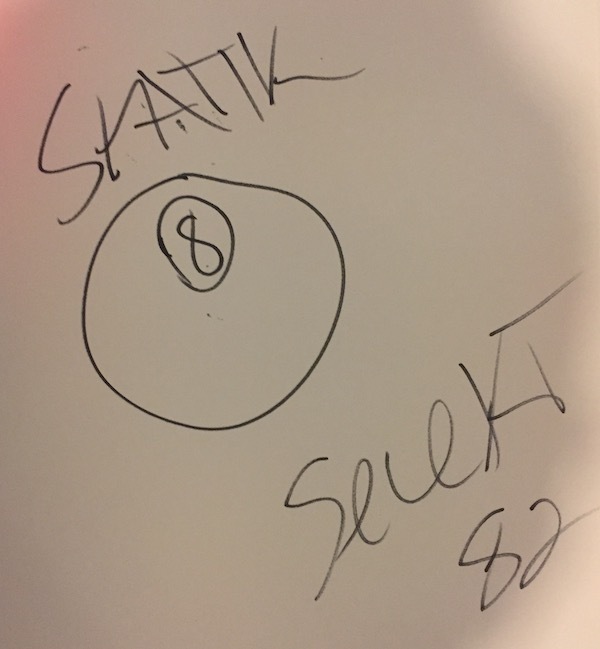 DJ Statik Selektah has been on his grind since he first started DJing in his very early teens. He made a name for himself as a mixtape DJ, but really broke out once he started making beats on his own. He has released seven solo albums, with his latest, 8, coming out this Friday, December 8th. Those records have featured guest appearances from almost everyone in hip-hop, from Kool G Rap and Bun B to Smoke DZA and 2 Chainz. In addition, he has released collaborative albums with Bumpy Knuckles, Termanology, Freeway, KXNG Crooked, Freddie Gibbs, and others. As an artist and producer, Statik has played an important role in the careers of Mac Miller, Action Bronson, and countless other up-and-coming stars. And he has had a special role as a big brother for Joey Badass and his Pro Era crew, serving as the collective’s tour DJ for years and producing many of their best-loved songs.